We’re an interesting bunch in the BOD fleet and its always fun to find out what members of the fleet get up to when they aren’t out racing their BODs. Last week Anne Howson, who crews for Mike Hempstead, undertook a very special task during the regatta weekend. 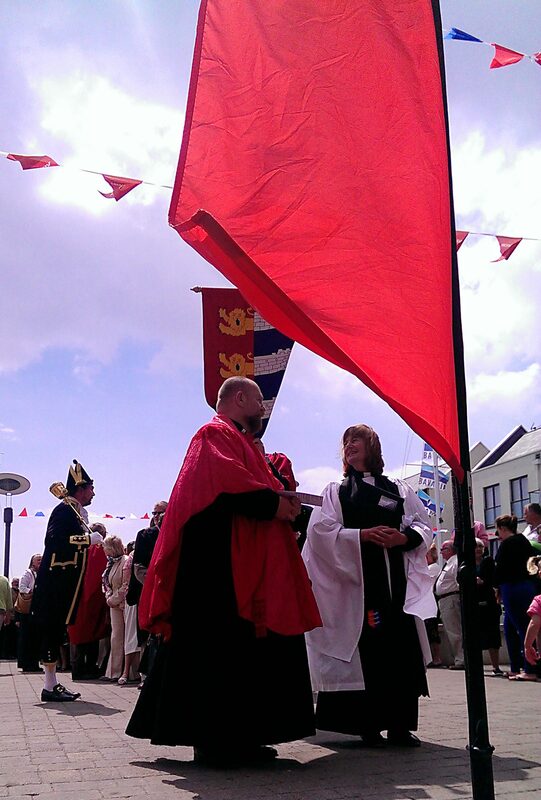 Anne is actually the Revd Anne Howson, Chaplain to the Cinque Port Liberty, and in this role she found herself in charge of the blessing element of the Blessing & Reclaiming of the Waters ceremony. The ceremony dates back more than 650 years and originated to settle a dispute with Colchester over the boundaries of fishing rights on the river – a matter of vital commercial importance to the fishermen of the day. 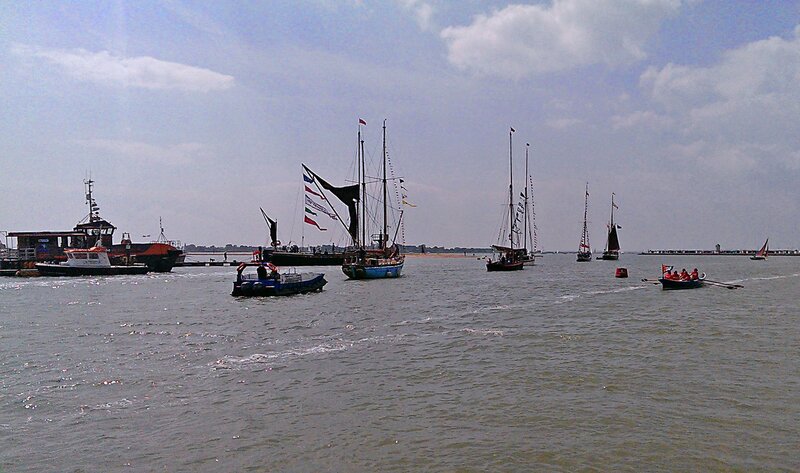 The modern version is rather more symbolic, but was none the less a spectacular sight as the assembled dignitaries made their way onto the water aboard the Brightlingsea smack fleet and completed the ceremony in front of the assembled regatta crowds.